Get to know us, it’s worth it. Amerra is a medical communications company that develops 3D solutions for education and training. We help convey complex information ranging from device demonstrations, to surgical techniques and MoAs in a revolutionary way. Our team consists of multi-talented individuals with specialized backgrounds to provide our clients with the tools needed to connect with their audiences. Mark manages Amerra’s business operations, while facilitating technical and project management aspects of the team. His career in animation began at the Texas Heart Institute and ultimately carried over to Amerra when he founded the company in late 2003. In addition, he has been involved in numerous life-science entrepreneurial ventures over the last decade, where his professional experience in 3D animation and software platforms has helped close knowledge gaps. 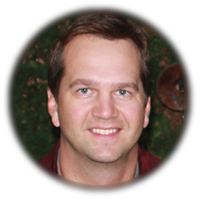 Mark is a co-owner of Amerra and a graduate of Texas A&M University. Aaron leads sales & marketing efforts with the goal of conveying complex subject matter easily with visual tools. His focus is developing relationships with companies across all growth stages to help each adopt and create strategies that improve messaging and business goals. 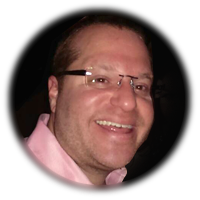 Aaron began his professional career at PROS, a revenue & margin optimization software company, where he developed technical and marketing related solutions for enterprise software to help tell their story. He is a co-owner of Amerra and a graduate of Texas A&M University. William (Billy) Cohn, MD, is a cardiovascular surgeon and the Director of Minimally Invasive Surgical Technology at the Texas Heart Institute at St. Luke’s Episcopal Hospital in Houston, Texas. He is the co-director of the Cullen Cardiovascular Research Laboratory and an Associate Professor of Surgery at Baylor College of Medicine and Adjunct Professor of Bioengineering at The University of Houston. Billy received his undergraduate degree from Oberlin College, and received his MD from Baylor College of Medicine, where he remained for general surgical and cardiothoracic surgical residency training. There Billy also served as the last chief resident under the legendary Michael DeBakey. Billy has more than 60 United States patents awarded or pending for his medical innovations and has been honored as the Distinguished Inventor of the Year by the Intellectual Property Owners Association. In addition to TVA Medical, Inc., Billy is founder or co-founder of numerous medical device companies, including Sentreheart, Viacor, Houston Medical Robotics, Apaxis and others focusing on the development of new minimally invasive therapies. Michael K. Lowe serves as Chief Executive Officer and President of OrthoAccel Technologies, Inc. Mr. Lowe spent seven years at Philips Oral Healthcare (Royal Philips Electronics) where he worked in a variety of roles including global product management and brand management for Sonicare. His experience comprises a range of marketing-related disciplines including dental professional sales management, sales training, promotion and advertising, market research, pricing strategy, and channel strategy development. While at Philips, he was nominated into the prestigious High Potential global management program, was listed as a co-inventor on a business application patent related to CRM, and developed a training program, Evidence-Based Dentistry, which won a regional MEDIC process improvement award for increased dental sales. He initially began working on the Sonicare business with Optiva, Inc. (1999 Inc. magazine Fastest Growing Privately Held Company award), joining Philips through the strategic acquisition process in 2000. Mr. Lowe maintained several consulting contracts, including an agreement with an early stage dental technology company as well as a Houston-based orthodontic practice. Through the end of 2006, he served as interim Chief Operating Officer of an Austin-based diagnostics company, departing upon the completion of a successful acquisition. Mr. Lowe holds a BS in Biology from Louisiana State University where he graduated with honors, and an MBA from the Rice University Jesse H. Jones Graduate School of Management as Jones Scholar. A native of Switzerland, Dr. Kreuzer moved to the United States in 1983. He graduated from medical school at the University of Texas in San Antonio in 1995, and went to Galveston for his orthopedic residency. He then completed a Fellowship in Adult Joint Reconstruction at the Baylor College of Medicine in Houston, Texas in 2001 where he focused on hip and knee replacement, and joint replacement revision surgery. As a Board-Certified and Fellowship-Trained Joint Replacement Surgeon, Dr. Kreuzer has pioneered the development in Minimally Invasive and Computer Assisted hip and knee replacement surgery. He is actively involved in training and has been invited to lecture and demonstrate his surgical techniques for surgeons throughout the United States, Asia and Europe. Dr. Kreuzer is currently on multiple design teams for the development of the next generation of knee and hip implants, and has devoted his career to improving the quality of life for the patient in need of joint replacement surgery. He also serves on several medical advisory boards, is the Director of Education for the anterior hip collaborative, and is one of five board members of DASH (Direct Anterior Society of the Hip). Dr. Kridel has been in private practice in Houston, Texas, since 1981, and specializes in cosmetic surgery of the face and neck, with special emphasis on cosmetic and reconstructive rhinoplasty and aging face surgery. He is a noted specialist in this very difficult surgical procedure. He began his higher education at Stanford University, where he earned his B.A. and attended medical school at the University Of Cincinnati College Of Medicine, where he was awarded his M.D. in 1975. He studied at Baylor College of Medicine in Houston, where he did residencies in general surgery and in otolaryngology-head and neck surgery. Dr. Kridel was board-certified by the American Board of Otolaryngology in 1981. In 1984, he became a fellow of the American College of Surgeons, and since then has been a fellowship director for the American Academy of Facial Plastic and Reconstructive Surgery. In 1991, the American Board of Facial Plastic and Reconstructive Surgery certified him and he became one of its first fellows. Today he serves on the board of directors and is a board examiner in facial plastic surgery for both the American Board of Otolaryngology and the ABFPRS. In 1987, he was certified by the American Board of Cosmetic Surgery. Dr. Kridel currently serves on the faculty at the University of Texas Medical School Houston as a Clinical Professor and a Director of Facial Plastics Education, and previously served on the faculty at Baylor College of Medicine. He was chief of staff of HealthSouth Hospital for Specialized Surgery in 2002, and president of the American Academy of Facial Plastic and Reconstructive Surgery from 2000 to 2001. He has served as AAFPRS vice-president for public affairs, treasurer, and is a member of the executive committee and the board of directors. Mr. Stow is an experienced business executive with over 25 years of corporate, consulting, and entrepreneurial achievements. At age 22 he began his career by starting his own company, providing land services to the upstream oil and gas industry. He continued his energy industry career as a manager at ExxonMobil Corporation as well as several senior positions with three management consulting firms including Cap Gemini Ernst & Young. Mr. Stow has worked extensively in North America, Europe, and Southeast Asia. He is also Co-Founder and Director of The Graduate Business Foundation, a non-profit organization whose mission is to foster leadership and innovation in graduate business education. He received his undergraduate business degree from the University of Texas at Austin, and his MBA from The Darden Business School at The University of Virginia.